DMC embroidery tracing paper. 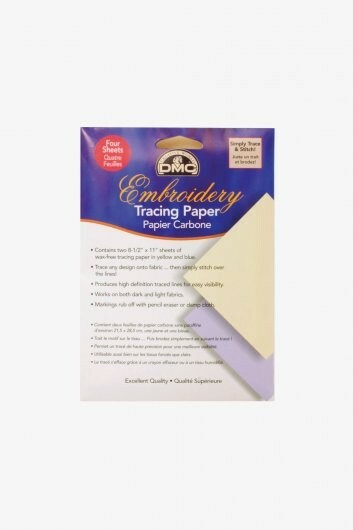 Contains four 8.5 x 11in sheets of wax-free tracing paper, two each of yellow and blue. Trace any design onto fabric then simply stitch over the lines. Works on both light and dark fabrics. Markings rub ofef with pencil eraser or damp cloth.